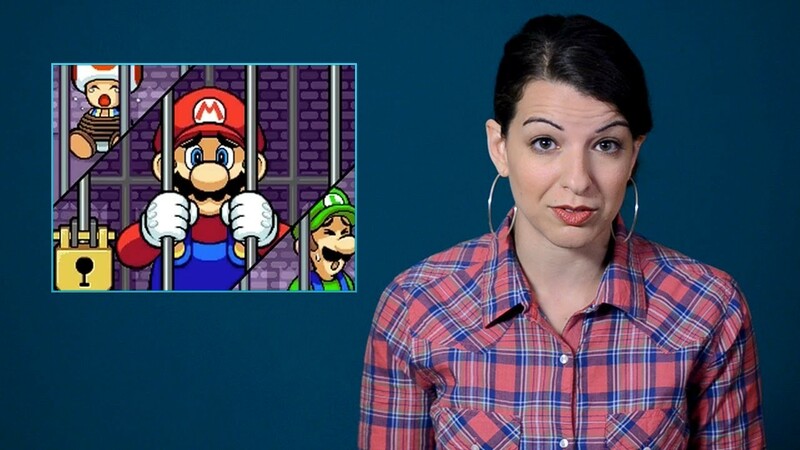 Screenshot of Anita Sarkeesian hosting "Tropes vs Women in Video Games"
Misogynistic harassment within the video game industry and conservative gun laws worked together this week to force feminist culture critic Anita Sarkeesian to cancel a talk that she had planned to give at Utah State University this morning. Sarkeesian runs the website Feminist Frequency, and is the host and creator of a web series called "Tropes vs Women in Video Games," which critiques the portrayal of women in video games. As explained in our feature this week, Sarkeesian has been one of the core targets of "Gamergate," a recent harassment campaign designed to chase women out of the video game industry. 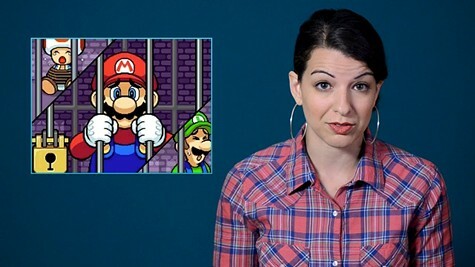 Sarkeesian has been receiving hostile threats from the "gamer" community since she launched the series in 2012, but they have recently become more severe, forcing her to leave her home after receiving death threats aimed at her and her family. As the Guardian reported, administrators at USU received an email on Monday night claiming that if the talk was not canceled, a massacre would occur. “This will be the deadliest school shooting in American history and I’m giving you a chance to stop it," it read. The email was signed "Marc Lepine," the name of a man who killed 14 women at a school in Montreal in 1989, before killing himself, in the name of "fighting feminism." According to her Twitter, Sarkeesian has been receiving death threats surrounding all of her public appearances lately but has not canceled any before this one. She initially intended to follow through with the talk under heightened security. When she requested that attendees be checked for weapons, however, she was informed that because of Utah's Open Carry laws, the school could not prevent attendees from carrying concealed weapons with them. At this point, many are wondering what it will take for the harassment to finally end.